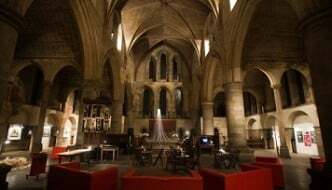 For anyone hiding under a stone in Sheffield at the moment, the Off the Shelf Festival is in full swing, with events taking place at many various and diverse locations throughout Sheffield, including public libraries, theatres and cafés. 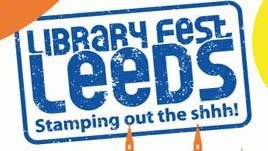 Off the Shelf is one of the largest literary festivals in the UK and as such, attracts some of the best known names in literature and the media to Sheffield each year. Since its beginning back in 1991, it has gathered an eclectic mix of musicians, historians, artists, scientists, journalists and, of course, writers. And with 200 wide-ranging events taking place, this year’s festival is no exception. Although there are many opportunities throughout the festival to attend talks by famous names, including Roger McGough, Michael Rosen, Mary Portas and Ian McMillan, what I feel is the real success of this festival is the way it places Sheffield and the city’s people very much at the heart of it. The festival features an abundance of community events aimed at all areas of the social strata and age range. There’s ‘Be a writer, see a writer, hear a writer’ at the Walkley Carnegie Library, a beautiful building at the heart of the city. At the event, activities are provided for both children and adults, together with poetry on demand by local writer Anne Grange. There are many Open Mic events such as ‘Poetry SHOUTING!’ on Devonshire Green near to the city centre, and various events celebrating the work of local writing groups such as ‘The Space Between’ held at Bank Street Arts, a local creative hub in the city centre and ‘The Write Way’, at Harland Café celebrating the work of writers attending WEA writing groups. Last week, I attended an event given by a group of writers identifying as Sheffield Authors, hosted by Mugen Tea House, discussing the perils and pitfalls of self-publishing. The event was also the launch of the Sheffield Authors website, (www.sheffieldauthors.co.uk) which is a collaboration of a group of local authors aimed at supporting and celebrating local writing talent. There was a great turnout to this event, which further emphasises the amount of interest in writing and the publishing industry. It is this, I think, which sums up the flavour of the whole festival for me. It is a celebration of all things literary – but much more. It is a celebration of the city of Sheffield – its cultural heritage and talent and, importantly, it encourages others to take part. It really is a festival for all.